Lauren is the store manager at Bozeman Running Company and helps put on the Cross Cut 25k, which is directed by Casey Jermyn and Zach Altman. The Cross Cut 25k is the 4th race in the 2017 Treasure State Trail Series and is a mix of single track and dirt road (due to construction this year) in the Bridger Bowl Ski Area. The proceeds from the Cross Cut 25k will be donated to the Bridger Biathlon Club. Tell us about Bozeman Running Company... 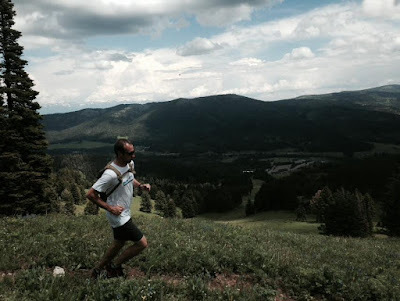 The Bozeman Running Company is Bozeman's only run-specialty store: serving southwest Montana Since 2010. We host numerous events throughout the year, including monthly Brew Runs, a Tuesday night summer trail series, demo runs, fundraisers, and more. We also host a variety of both road and trail races, ranging from 5k to marathon, and sponsor additional races in town with their community partners. How many people participate in Cross Cut? Last year, over 150 runners participated in Cross Cut, 15K and 25K combined. This will be the 3rd year for the race and we are expecting larger numbers as the event continues to grow each year. BRC puts on quite a few events, what makes this one unique? Cross Cut is unique for a few reasons. The course runs through the heart of the Bridger Mountain range on the east side, right through Bridger Bowl Ski Area and Bohart Ranch. Runners have the opportunity to go on a run through the trails that they are normally used to skiing on, both XC and alpine. All in all, the race offers a different perspective of the landscape. All proceeds from the Cross Cut are donated to the Bridger Biathlon Club, which is a nonprofit organization in Bozeman that promotes athletic achievement and values of healthy living for all ages and abilities through recreational and competitive biathlon. Why use a ski area for a trail race? 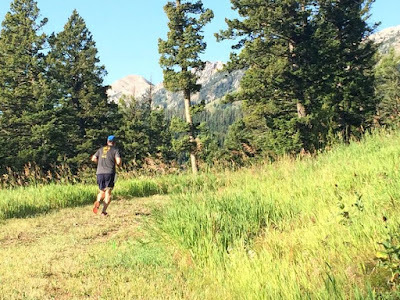 Running at a ski area is a unique way to experience a landscape that is not heavily trafficked during the off-season months. The Bridger Bowl Ski Area trails are diverse - you can practice all different kinds of running: uphill, downhill, sharp turns, and rolling hills! Bozeman is lucky having such great trail access close to town, how does this impact the running community and your ability to put on events? Bozeman’s trail system, Main Street to the Mountains, consists of over 80 miles of trail accessible from the heart of town. Our trail system encourages folks to spend more time outside without the hassle of thinking about “getting there.” It is nearly impossible to set out for a road run without hopping onto a connecting trail. This diversifies the running community here in Bozeman and brings runners from all types together. The diversity gives us the ability to hosts a variety of races that target all running and walking levels, from 5K to more technical trail races. How would you like to see Cross Cut improve/develop the next few years? We hope that Cross Cut continues to diversify, with runners ranging from beginner trail runners to elite. Who knows… maybe Cross Cut will grow to offer a 50K option as permit allows! What are the trails like at Cross Cut? The Cross Cut trails vary in terrain, but can mostly be considered technical single track. You will experience a variety of uphill, downhill, and rolling single track. Thanks Lauren, Zach, and Casey! We look forward to seeing you this weekend, July 22nd. Registration is still open and can be found at RaceMontana.com or here. Remember that the top five men and women in the Treasure State Trail Series earn prize packages from Altra Running!